Charles Goodnight was born in Macoupin County, Illinois, on 5th March, 1836. After the death of his father his mother took him to live in Milam County, Texas. In 1857 Goodnight became a Texas Rangers and fought with distinction during the Indian Wars. He also became an Indian scout and was involved in the killing of the Comanche chief, Peta Nocona. He also served as a scout during the American Civil War. After the war Goodnight decided to become involved in the cattle business. He joined up with Oliver Loving to take cattle from Fort Belknap in Texas to Fort Sumner in New Mexico. This later became known as the Goodnight-Loving Trail. Oliver Loving was killed by a Comanche war party in 1867, but Goodnight continued to organize cattle drives on his own. 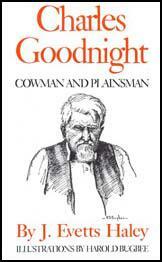 In 1871 Goodnight joined forces with John Chisum . He also extended his trial from Alamogordo Creek, New Mexico, to Granada, Colorado. Goodnight eventually settled in Palo Duro Canyon in Texas, where he raised Durham, Hereford and Angus cattle. This venture was a great success and he soon had a million acres of land and 100,000 head of cattle. He crossed the Longhorn with the Hereford to produce excellent beef animals. He also tried to cross his cattle with buffalo. This attempt to raise "cattalo" was unsuccessful. 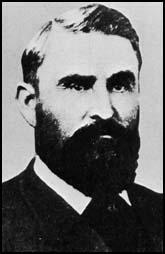 In 1877 Goodnight joined forces with John G. Adair to create a trail from his farm to Dodge City. Goodnight suffered from rustlers and warned the Texas Rangers that if they could not sort out this problem he would take the necessary actions. In 1880 Goodnight established the Panhandle Stockman's Association to rid the region of outlaws. The organization also attempted to improve the quality of the regions cattle. Charles Goodnight died in Tucson, Arizona, on 12th December, 1929. Last spring the Germans had constructed huge tents in an open space in the Lager. For the whole of the good season each of them had catered for over 1,000 men: now the tents had been taken down, and an excess 2,000 guests crowded our huts. We old prisoners knew that the Germans did not like these irregularities and that something would soon happen to reduce our number.